Do Multivitamins Prevent Cardiovascular Disease in Men? Home Lifestyle Do Multivitamins Prevent Cardiovascular Disease in Men? Approximately 35% of people in the US take multivitamins (MVIs) on a daily basis. Some buy the cheap ones from Costco, but others, purchase expensive brands convinced that they are worth every penny of the much higher price tag. According to market research, Americans spent $110 million on MVIs in 2009. If you look at total dietary supplement sales, it totals $2.9 billion in the same year. Now that is not much compared to what we spend on healthcare, right? But what are we getting for our money? Improved health? Or just vitamin-rich pee? According to a National Institute of Health conference panel as well as the 2010 Dietary Guidelines, there is “no evidence to support use of a daily multivitamin in disease prevention.” These experts based this statement on a review of a number of randomized trials that tested individual vitamins or certain select vitamins. There were no large scale studies that evaluated the impact of the daily multivitamin, until now. The Physicians Health Study (PHS II), recently published (11/7/2012) in the Journal of the American Medical Association (JAMA), was designed to do just that, starting with a look at whether multivitamin use prevents cardiovascular disease. Howard Sesso, SCD, MPH and colleagues, randomized 14,641 male physicians into the study. Half agreed to take daily multivitamins (Centrum Silver, 500 mg of Vitamin C, and 50 mg of beta carotene). The other half received the placebo. Given that these were older men (mean age of 64), it should not be surprising that there was a baseline prevalence of CVD risk factors (hypertension 42%, high cholesterol 35%, diabetes 6%). However, probably because the subjects were physicians, only 4% were smokers and 60% exercised at least once a week or more. Median follow up was 11 years. Compliance, measured by self-report was pretty good at approximately 70% in both groups over the entire duration of the study (docs are good at following instructions, it seems). Nineteen percent of the men died during the follow-up. Now you could argue that these men started taking daily multivitamins too late in life. Indeed, there was a suggestion that there could be difference in end-points between the two groups in men aged 50-59. And besides, you may be wondering, what are the downsides—besides cost—of taking these pills? The study found minimal, if any measurable, side effects related to being in the MVI group. 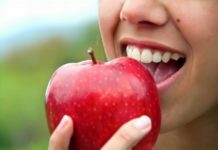 But what was not measured was whether the subjects engaged in fewer healthy behaviors (such as eating lots of fruits and vegetables) as a result of taking the medication. We are a society that loves to take pills and by and large this study is unlikely to change that—in part because industry is invested in selling us the stuff but also in part because we believe that “more is better” and “better safe than sorry.” Let me know what you think. Will this well done peer-reviewed study change your mind about multivitamins? It would be interesting to see if a persons diet changes based on whether they take a multivitamin. In my experience (n of one) taking a vitamin does allow me to justify eating a less healthy diet and when I stop vitamins I make a much stronger conscious effort to keep my diet healthier and more balanced. jury may or may not be out on multvitamins. Based on this study I’ll do what I’ve been doing, which is take a kid’s-size gummy vitamin every couple of days, just in case I miss a balanced diet. I don’t think the jury is still out on mega-doses. there have certainly been enough meta-analyses to prove they do no extra good and may even do harm. By the way, you guys got your numbers wrong for a change. (God, I love it when you do that.) 35% of Americans is almost exactly 110,000,000 people. If we spent $110-million, that’s about $1/person/year, or 1/3 of a penny per vitamin. Methinks thou is missing aat least one decimal point in your calculation because even cheap vitamins cost ten times that much and/or many fewer people are taking these things daily.